Thank you for your very positive responses to our recent “Staying Positive” Newsletter. 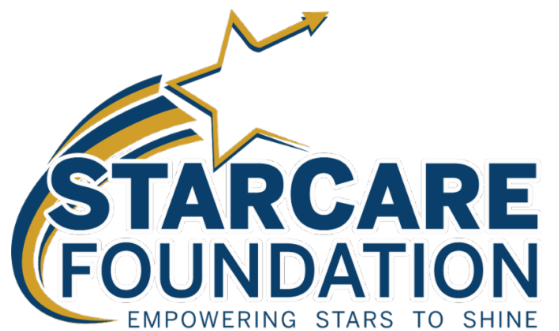 Your input encourages us to continue re-imagining STARCARE and keep it current and relevant. For us, the ongoing evolution of our firm is exciting and fun. It’s also challenging and expensive, but worth it. Of course, the big picture doesn’t change. It always has been and always will be about you. Your life, your resources, your dreams. Our life is to steward those dreams and resources. It’s about helping with special needs for special folks. It’s about empowering women in a world that still isn’t entirely fair. It’s about understanding, at some level, everyone is a “Star” and we all need to be “CAREd” about. What is changing and will roll out over 2019 is our look. The logo is freshening up, popping in a new digital world and leaving the old world of print. We wanted to refine and energize the “star” in our logo to telegraph a sense of optimism. We also wanted our tagline to better reflect the value we deliver to you, our clients. We like the way it feels. Our philanthropy is very important to us. We are increasing this work every year and encourage you to consider doing the same. So our Foundation now has it’s very own logo and tag line, as well. We hope to better highlight your and our work for others. New logos are just the beginning. Lots of new things to come. New programs and improvement to existing programs. All beginning in January. Stay tuned and thank you for CAREing about STARCARE.